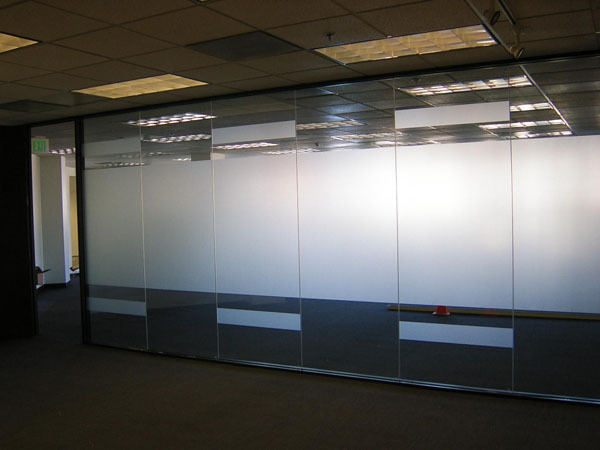 Want glass that is translucent but not transparent? 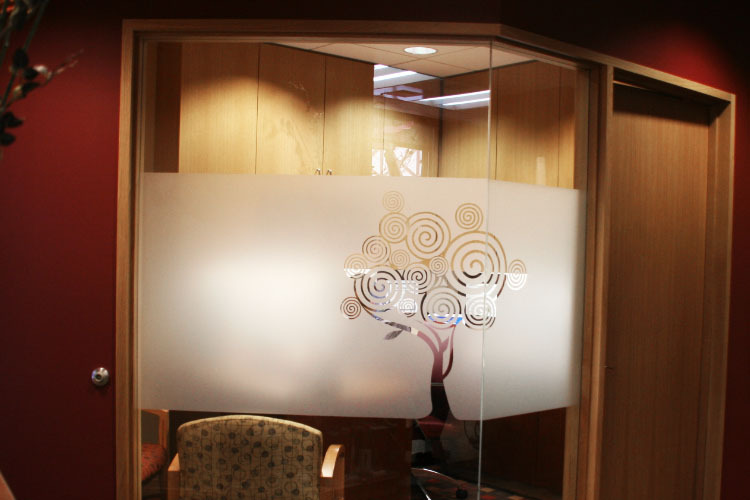 Frosted or dusted crystal vinyl graphics are the perfect solution for your window privacy needs. 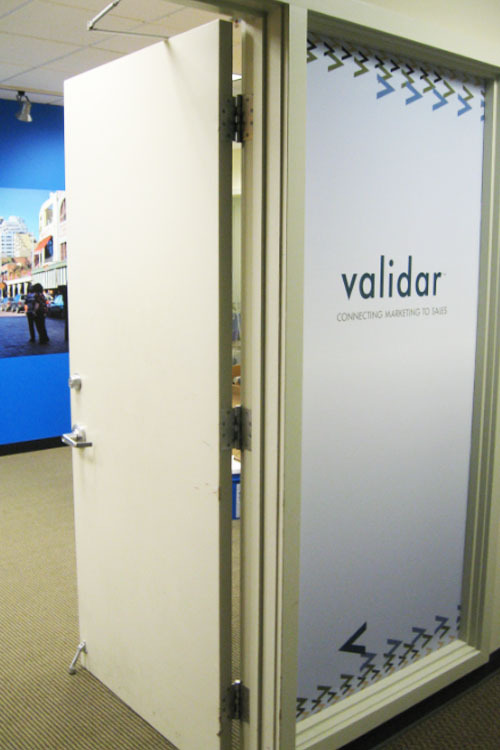 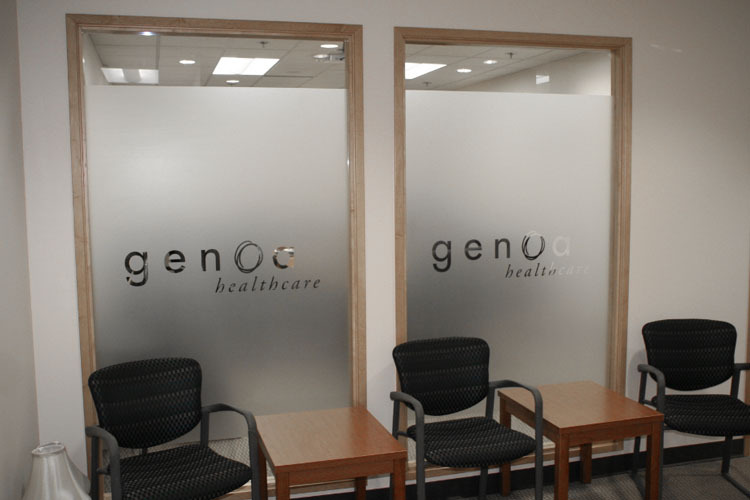 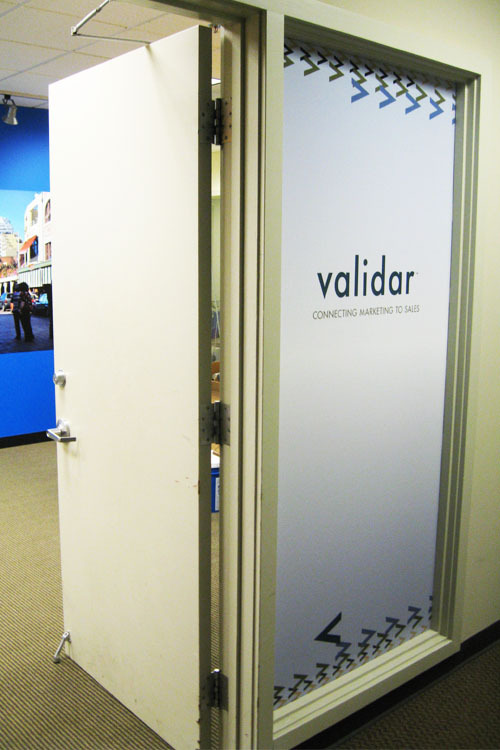 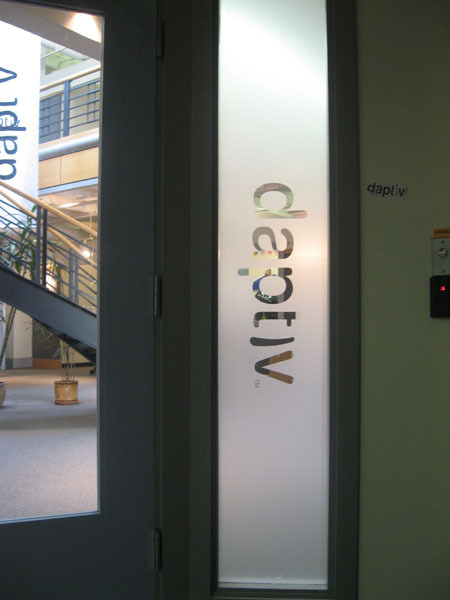 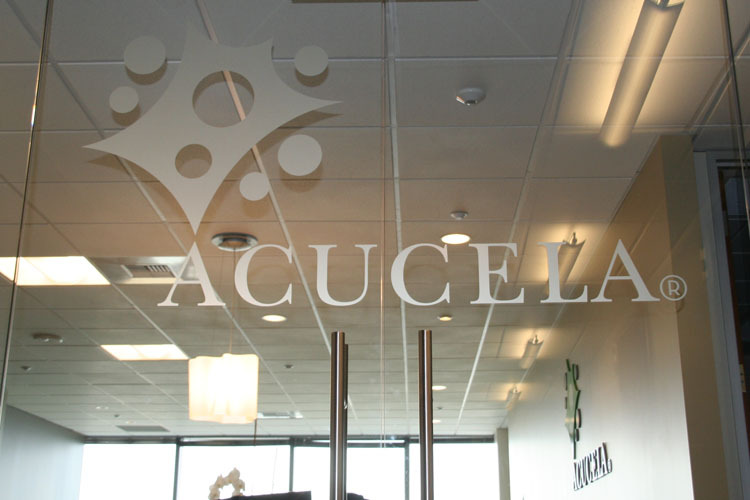 Not only does it create an upscale diffused look for your office glass, or any type of window signs for that matter, it is much less expensive than traditional etched glass. 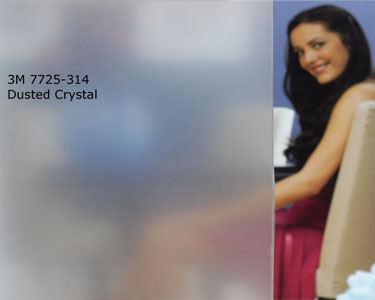 The dusted and frosted crystal custom vinyl films are translucent with a low gloss and therefore eliminates glare. 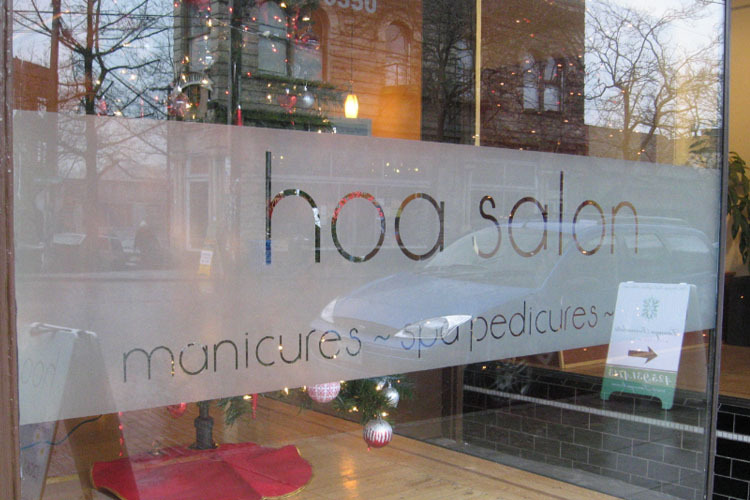 These films have uniform color in both reflecting and transmitting light and are ideal for vinyl lettering. 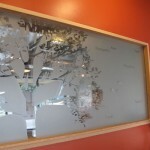 Take ordinary glass and make it look frosted or etched. 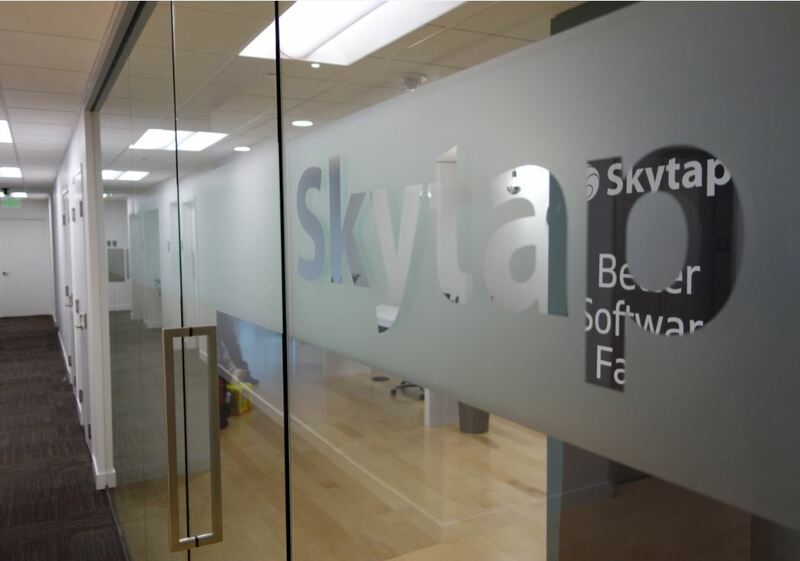 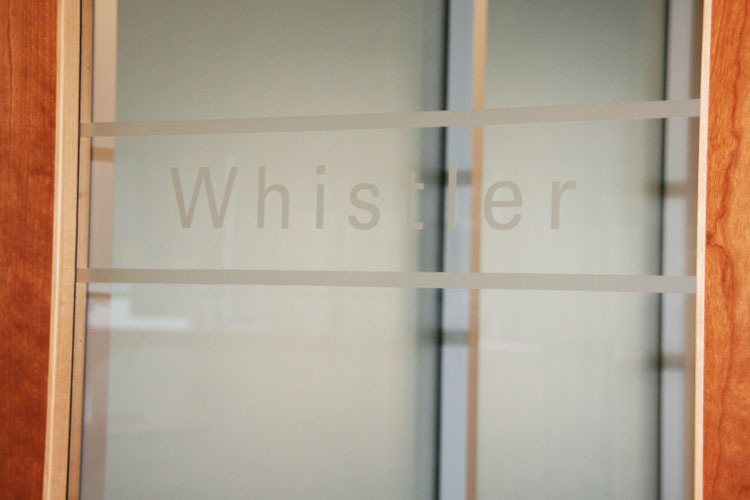 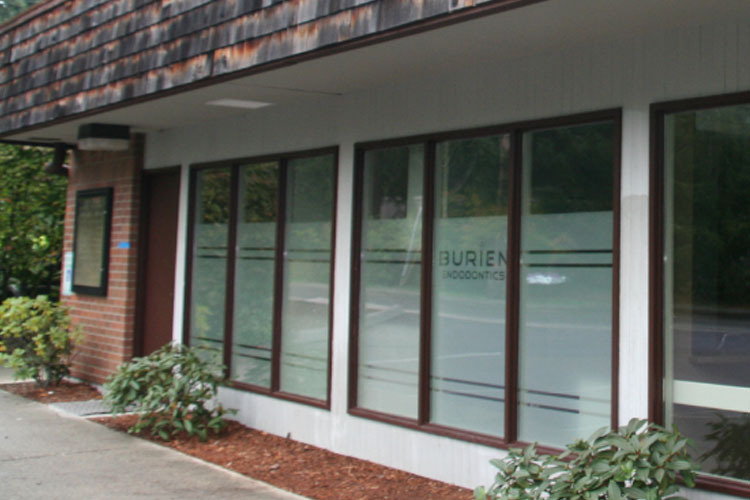 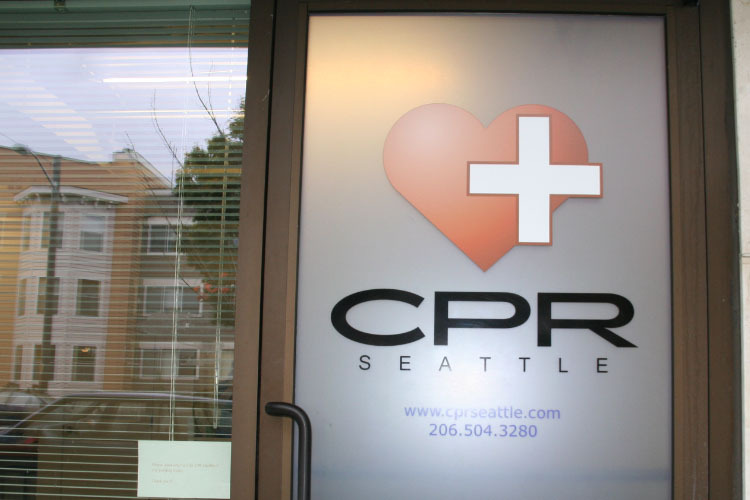 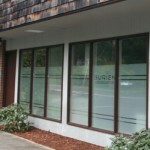 With a vinyl graphics window treatment from Signsof Seattle you can make your office windows look cool and classy and diffuse the view in. 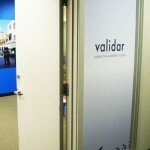 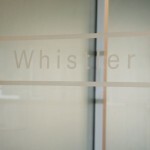 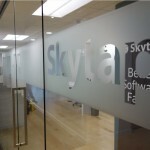 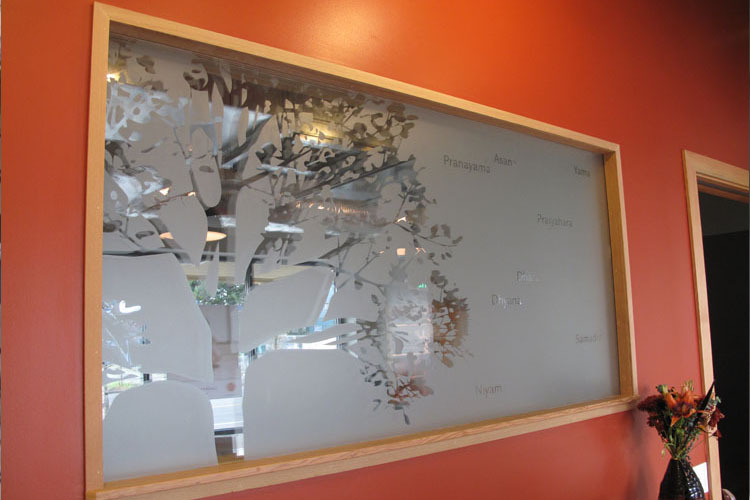 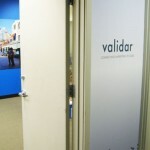 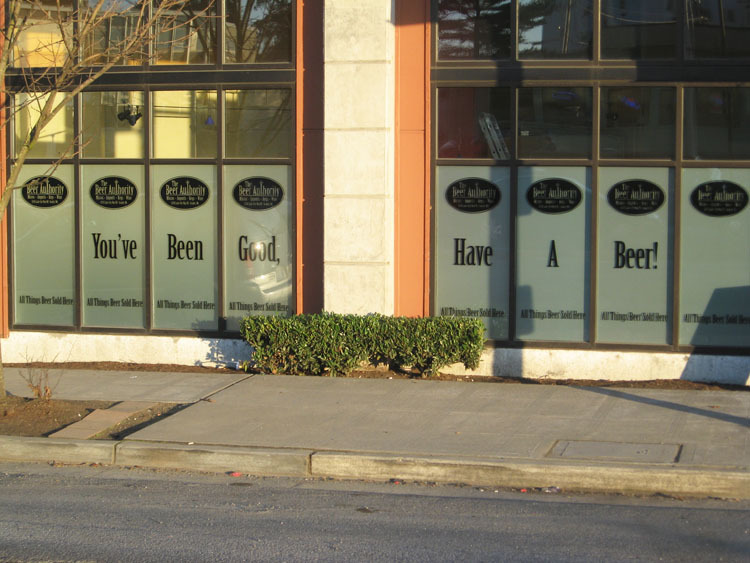 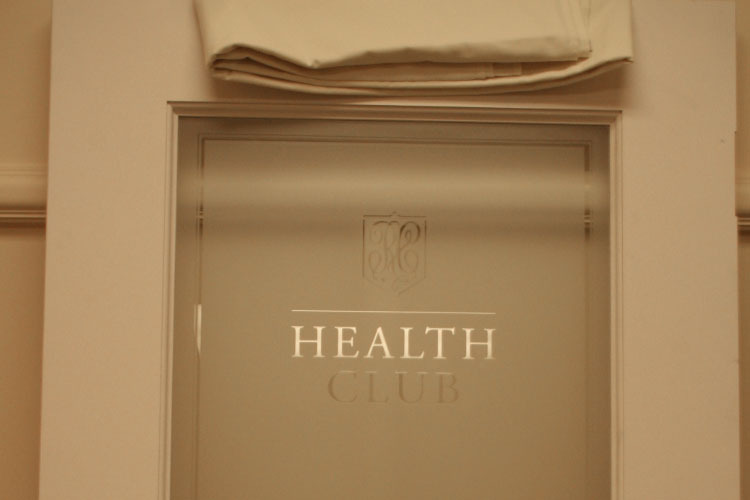 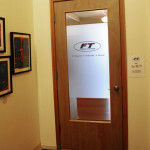 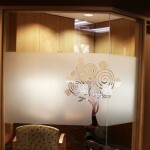 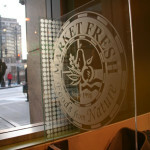 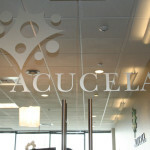 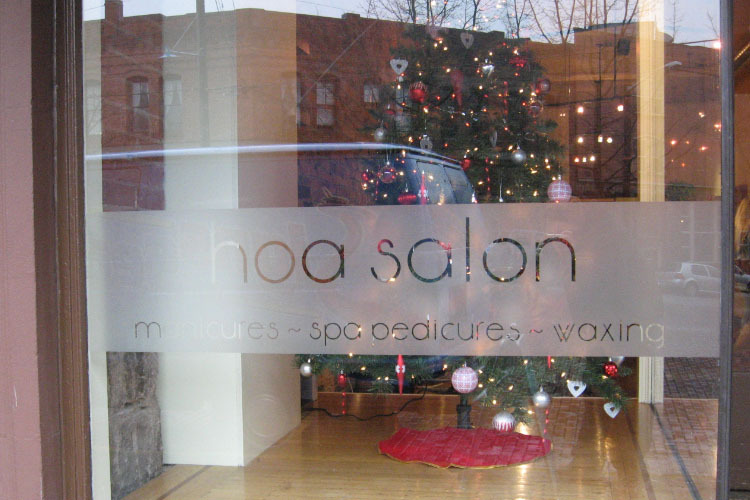 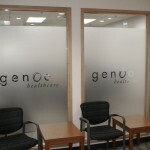 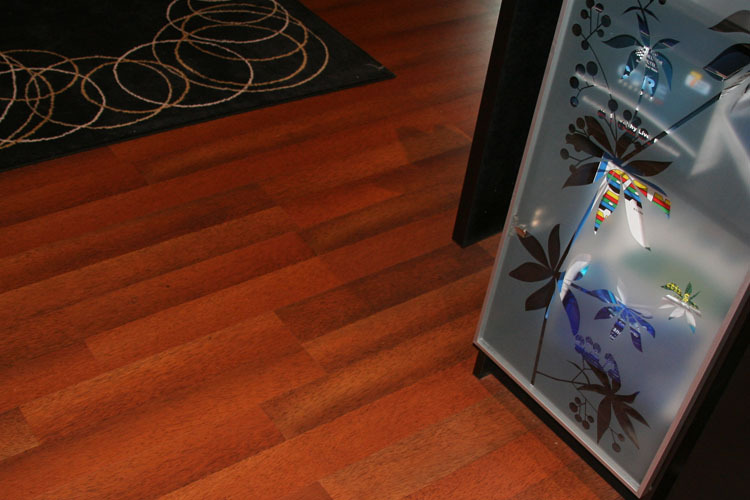 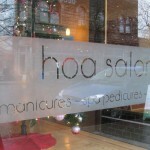 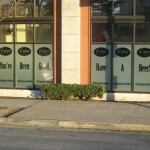 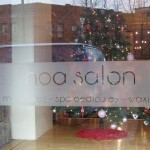 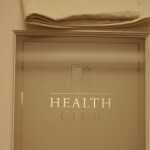 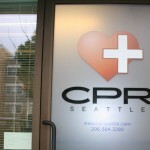 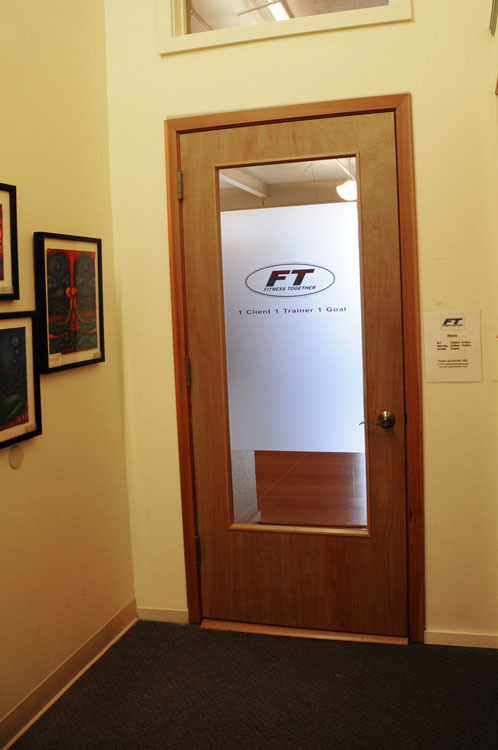 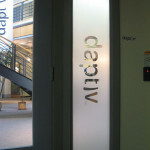 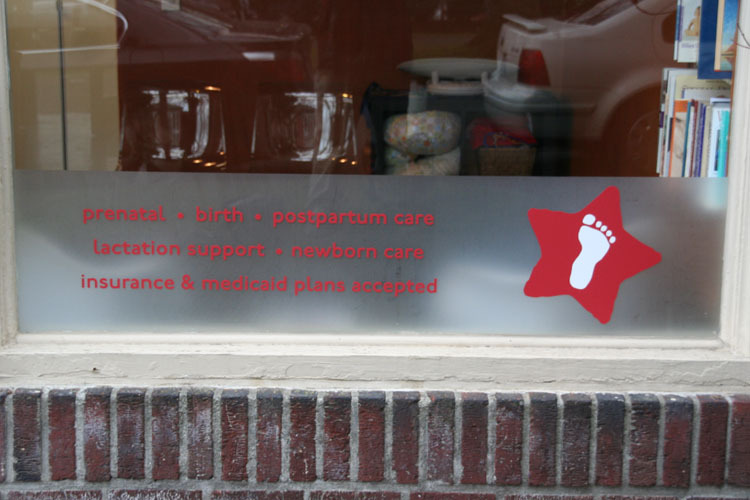 We can use your logo or lettering or just flood the window to look as if it is etched glass. 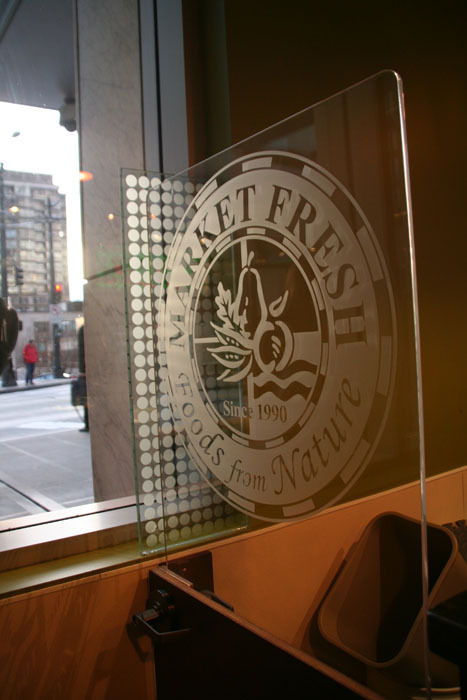 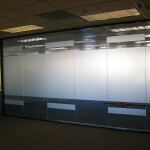 -The 3M frosted crystal film has the uniform appearance of sandblasted glass. 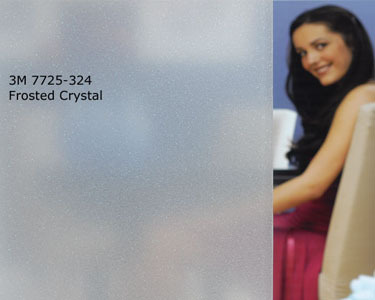 It also has subtle sparkles. 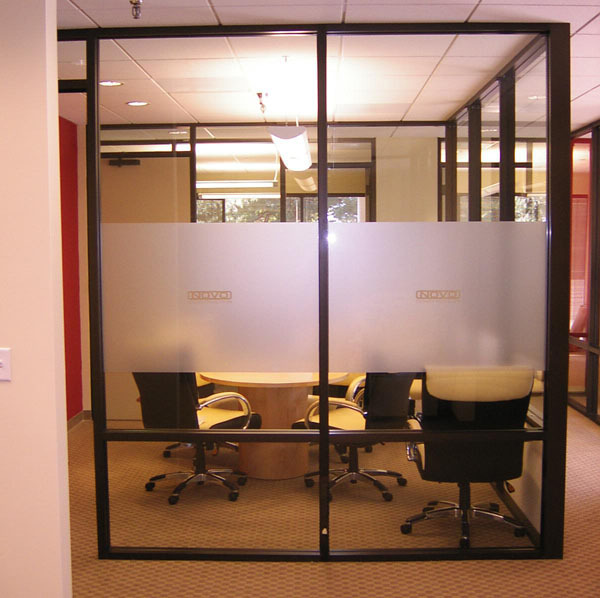 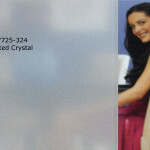 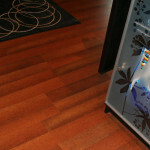 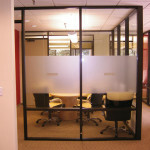 -The 3M dusted crystal film has the uniform appearance of etched glass.